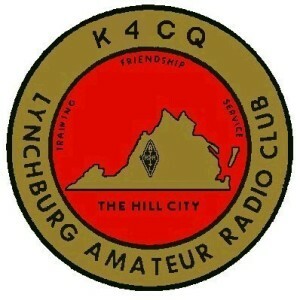 Lynchburg Amateur Radio Club, Inc. Amateur Radio often referred to as “Ham Radio” is a hobby enjoyed by many around the world. The Amateur Radio Operators of Lynchburg Va. area are ready to serve our community with emergency communications at a moments notice. LARC, Inc. also is available to assist in communications for special events in the area such as The Virginia 10 Miler Race, bike races, walks and the annual Christmas Parade. Emergency services provided by LARC assist the police, rescue squads and hospitals with emergency communications. Remote sites at area hospitals, the Red Cross (in Lynchburg) and Emergency Operations Centers along with mobile and home operators and create hundreds of contact points in disaster situations. There is a net every night but Thursday's. The Virginia Mid State 2M Traffic net is open to all licensed amateur radio operators who would like to participate. This is a great way to practice your radio operator skills. If you've never joined a net before it's easy. When Net Control advises you to "please come now" simply throw out your call eg: "KK4SGS" followed by "Mobile/Portable/Base" and then wait for Net Control to call for you. It's that simple, and it's fun. Give it a try. Note: there is also a net every morning M-F at 9 A.M.
"The ROC good morning net"
Community room at 7:30 pm. Anyone interested in Amateur Radio is welcome!